The principles Sheriff Clarke stands for are the same principles this nation was built on. He's much more than the Milwaukee County Sheriff. 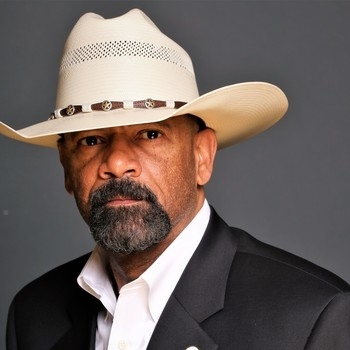 He's America's Sheriff. Clarke is a unique voice today: fearless in his contempt for political correctness and eloquent in his articulation of core American values. 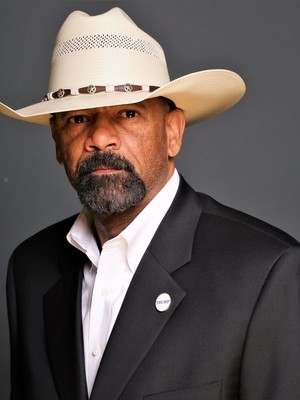 Sheriff Davide Clarke provides a much needed voice of reason in tackling America's challenges. He speaks his mind, and his no-nonsense approach to law and order is exactly what we need to make our country safer. Even in a predominantly liberal community, his message of law and order, accountability, and self empowerment resonates. He is one of America's most important cultural voices. At a time when America seems to have lost its way, Sheriff David Clarke offers critically important leadership, both as one of the nations' top cops and as a much-needed public truth teller. Sheriff Clarke gave a very cognizant, forthright and down to earth speech that every citizen in our nation needs to hear. His message was very well received by our specific audience and his ability to captivate everyone's attention was certainly evident. I, as County Chair, would highly recommend him to anyone interested in a speaker who does not try to 'butter' up a specific topic but instead lays out the absolute facts. Even though Sheriff Clarke spoke approximately 45 minutes it only seems as though it was 5 minutes. I would personally enjoy hearing him speak again! "David was a rock star! His presentation was phenomenal. The line for his book signing stretched across the hotel's lobby. We sold every copy of his book that we had. David was cordial and friendly with our sponsors and attendees. He signed every last book and took pictures with everyone who asked. We couldn't have asked for anything better than what he delivered."